Saline event had 15 cars including Tesla Model S, Nissan Leaf, Chevy Volt, Ford C-Max Energi, Prius Plug In, Think City, Austin Healey EV Conversion and Fiat Bertone EV conversion. Nissan North America participated in this event and informed visitors about their excellent EV offering, 2013 Nissan LEAF. Ann Arbor Nissan was our featured dealership. ClipperCreek displayed various charging units. Motors City Motors showcased another unique EV conversion, this time 1969 Austin Healey. The event was part of Saline Oktoberfest and attracted large number of visitors. Visitors familiarized themselves with various EVs, whereas some visitors came with the knowledge and were interested in seeing the vehicle in person and were interested to know real world experience before final purchase. Owners shared their EV ownership experience over fine Michigan beer. There was lot to do for owners here with Oktoberfest and everyone enjoyed their time. The event was a huge success. 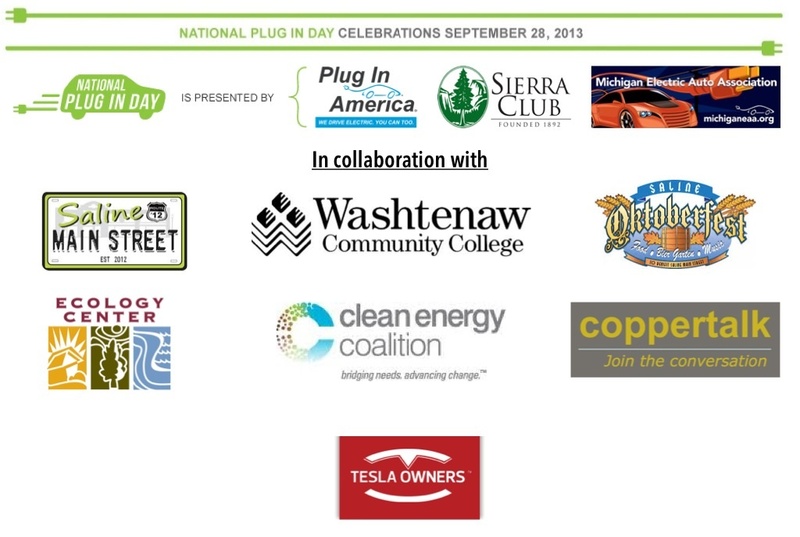 Michigan Electric Auto Association (MEAA) is proud to announce National Plug-In Day event in Saline, MI in partnership with Michigan Tesla Owners. Ecology Center and Clean Energy Coalition will be promoting the event. NPID-Saline is thrilled to partner with Copper Development Association for event coverage. Coppertalk.org will liveblog and promote various Plug-In Day events being held nationally. 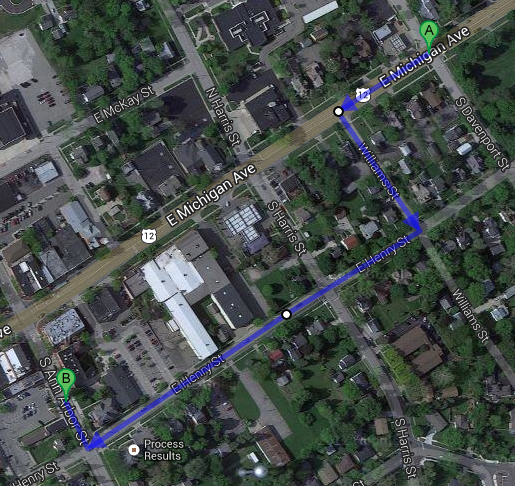 Saline Main Street Association will be celebrating Oktoberfest and we will be sharing space with other participants. There is space for about 10 cars here and it will be a static display. All the display places are taken at this event. However all EV owners are welcome to visit this event, but you would need to park in general parking. There is free charging in the adjacent parking lot. 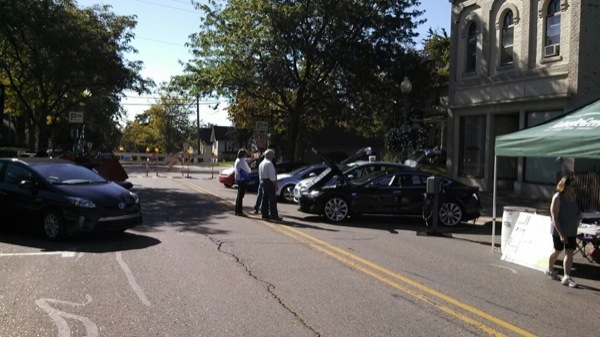 Saline event will have Tesla Model S, Nissan Leaf and Chevy Volt. Event will feature EV conversion business and EV conversion by enthusiast. Ann Arbor Nissan and Bill Crispin Chevrolet will be our featured dealers, however will not be offering ride and drive due to crowds. We highly encourage EV owners to come to our Ann Arbor event, esp if you haven't received confirmation of an assigned space for your vehicle. You will get an opportunity to showcase your vehicle and talk with other owners at Ann Arbor event. Ann Arbor event will also have dealership vehicles for ride and drive. Please see the link below for event details. Everybody is welcome to this event. This place has 6 ChargePoint stations in the parking structure, with no restrictions on number of vehicles. Nissan North America has offered generous help for this event. They will be providing Leaf EVs and volunteers for the event.